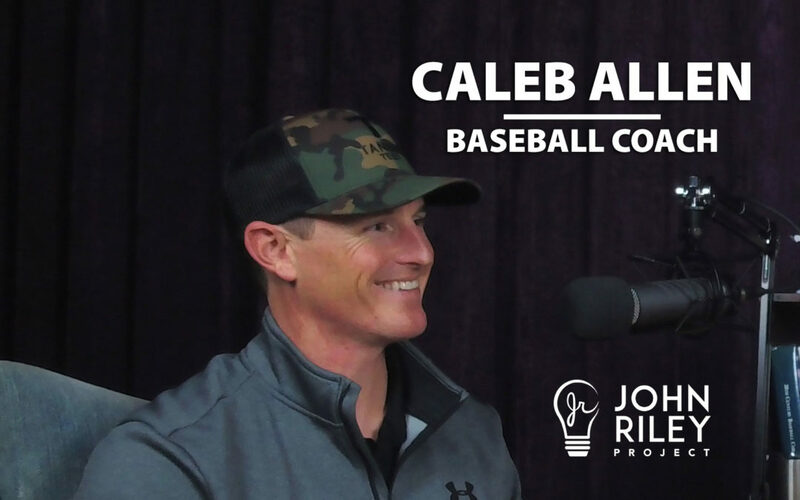 I had a great conversation with Caleb Allen talking baseball and how the sport translates into great life lessons. Caleb Allen is the Varsity Baseball Hitting Coach at Westview High School in the Poway Unified School District. Caleb has served in various coaching roles at Poway High School, El Camino High School and San Diego Christian College. He also ran the San Diego Crush travel baseball program helping build a solid organization with a tremendous coaching staff. Caleb Allen is a protégé of local hitting guru Deron Johnson who has coached a long list of MLB players, minor leaguers and collegiate hitters. Johnson’s approach is as much about mechanics as it is about the mental side of the game. Deron Johnson taught Caleb that the mechanical side can be built through the mental side. It’s about coaching hitters on achieving certain feelings which ultimately gets the hitters executing the right mechanics. We explore how lessons taught in baseball are valuable in all parts of life. With hitting it is about having a plan, attacking and never giving in to the pitcher. Caleb highlighted the quote “never give up bat speed for making contact” which is another way of saying not to be tentative but instead give it everything you’ve got. Caleb Allen shared the story of Dylan Mulholland who tried out for his high school team multiple times and always got cut. But the kid loved baseball and he ended up making the team as a senior year. About 8 years later Caleb learned that Dylan was playing baseball professionally in Canada, working at a batting cage facility, planned a baseball game for his bachelor party and continues to live the baseball dream. We share more stories involving major leaguers Cole Hamels, Kevin Newman, Austin Wynns, Chris Bando and Sal Bando. We get into the crazy stories of out-of-control parents in club baseball and Caleb’s challenges managing both players and parents. We get into Mike Matheny’s Manifesto about the role parents should play in supporting their child in competitive sports. Caleb shares his own recruiting story and offers numerous tips for players and parents as they go through their own recruiting process. Westview opens up their 2019 season on Saturday February 16th against Grossmont High School.